Cromwell’s Commission in Kent 1655-57. The Commission was established to control and punish anti-Cromwell and anti-Parliament land-owners in the kingdom. Major John Boys of Fredville had served on earlier Parliamentary Committees for Kent from at least 1643. 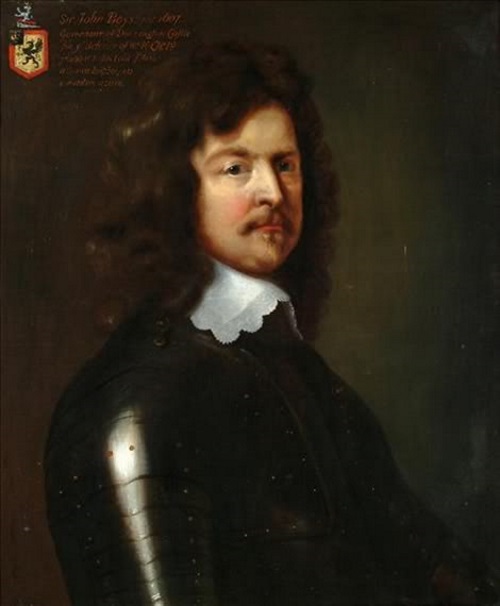 Sir Edward Boys of Fredville was Lieutenant of Dover Castle and had initially held the castle for King Charles I but went over to the Parliamentarians in 1642 and handed the castle to the King’s enemies. Edward Boys of Bettshanger, who died in 1649, and his son, John, were also both Parliamentarians. 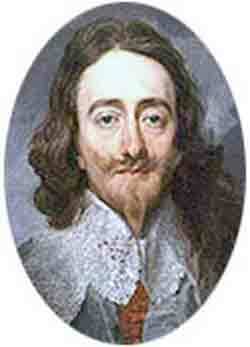 John was a member of the Long Parliament of 1640 to 1660. Other members of the Boys family, notably Sir John Boys of Bonnington and Christopher Boys of Uffington,both in Goodnestone parish, were ardent Royalists, which shows how the Civil War really did divide families. Some prominent gentry from Nonington and neighbouring parishes were listed as suspect persons by Cromwell’s Commission in Kent of 1655 to 1657 and required to bring particulars of their estates or security for their peaceable demeanour to the Committee. Lt. Col., Sir John Boys of Bonnington and Christopher Boys of Uffington, both in Goodnestone parish. Jeremy Gay, gentleman, of St. Paules, near Canterbury, [the tenant of the Holt Street estate in Nonington parish owned by Major John Boys of Fredville]. Col. Anthony and Col. Francis Hammond of St. Alban’s Court, Nonington, listed as being amongst the leaders of the revolt [the Kentish Revolt of 1648]. Sir Thomas Peyton of Knowlton Court, listed as Lieutenant General of the Insurrectionist troops [during the Kentish Revolt of 1648]. Major John Boys of Fredville was said by William Hasted in his history of Kent, to have suffered severely for his Royalist sympathies in the English Civil War when in actual fact he was a Parliamentarian and his financial woes were caused, according to William Boys’ 1802 biography and pedigree of the Boys family,‘by his own extravagance he much encumbered and wasted the estate of Fredville’. 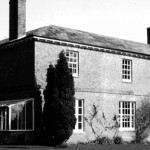 It may possibly be that Hasted confused him with Sir John Boys, a relative of the Fredville Boys’ who lived at Bonnington in the neighbouring parish of Goodnestone. In 1645 Major John Boys was made one of Parliaments “Names of Commissioners and Council of War in Kent. ;Power to Execute; Martial Law on all that have taken part in rising in Kent” whose task it was to restore law and order after a Royalist attempt to take Dover Castle and begin an insurrection in East Kent indicating the extent of his involvement with the Parliamentary cause. During a siege in 1642 the Boys’ of Fredville defended Dover Castle against a besieging force which contained at least one Hammond of St. Alban’s Court, who were the Boys’ next door neighbours. The Civil War did not just set the Boys’ of Fredville against their neighbours, they were also on the opposing side to their distant kinsmen at nearby Bonnington and Uffington. Sir John Boys of Bonnington. John Boys was the eldest son and heir of Sir Edward Boys of Bonnington by Jane, daughter of Edward Sanders of Northbourne He was born at his father’s house at Bonnington, much of which still stands and is now a farm house and a cottage, and was baptised in nearby Chillenden Church on 5th April 1607. He was a distant kinsman of the Boys’ of Fredville in the neighbouring parish of Nonington where his father held land. His military career began in the Low Countries where he served as a mercenary during The Thirty Years War, possibly serving with Francis Hammond of nearby St. Alban’s Court in Nonington. During the English Civil War, he became a captain in the army of King Charles I, and later served as Governor of Donnington Castle in Berkshire. At the outbreak of the Civil War in 1642 Donnington Castle was an out-dated structure and considered unimportant. It was owned by John Packer, a Parliamentarian, and garrisoned by a Parliamentarian force. However, when Oxford became the Royalist capital after the King’s failure to capture London in the early months of the war Donnington, which was located twenty miles to the south of Oxford on the main road to the north, gained strategic importance. 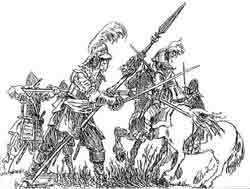 The First Battle of Newbury was fought on 20th September, 1643, a mile or so to the south of the castle and resulted in a defeat for the Royalist army under the command of King Charles I. After the Royalist defeat Lt. Colonel John Boys with a force of 200 infantry, 25 cavalry and 4 cannon took possession of Donnington Castle and began the construction of substantial defensive earthwork. By the summer of the following year Parliament had the upper hand and made attempts to open the road to Oxford by targeting the Royalist strongholds of Banbury Castle, Basing House and Donnington Castle. Lieutenant-General John Middleton was sent with a force of 3,000 men to take Donnington. Middleton’s soldiers attempted a direct assault on 31st July which was repulsed with the attackers losing some 300 officers and men. In late September Colonel Horton built a battery at the foot of the castle hill from where the castle was put under a constant bombardment. During a period of twelve days three of the fortifications towers and a part of the wall were reduced to ruins by some 1,000 or so great shot from the besiegers guns. When Horton received reinforcements he sent a summons to John Boys, but Boys refused to listen to any terms. Soon afterwards the Earl of Manchester and his forces joined with Horton but their joint efforts to end the siege proved unsuccessful. After some two or three days of unsuccessful attacks the besieging forces became aware of that the King was en route for Donnington with a relieving force and they promptly marched off in some disarray. King Charles I relieved Donnington Castle on 21st October 1644, and knighted John Boys for his conduct under siege and made him Colonel of the regiment he had previously commanded as a Lieutenant-Colonel to Earl Rivers, the nominal Governor of Donnington. The now Colonel Sir John Boys was also given an augmentation to his coat of arms of a golden imperial crown or on a blue canton. The King’s successful relief of the castle resulted in the Second Battle of Newbury being fought on 27th October, 1644, under Donnington’s walls where, during the fighting, Boys secured the King’s artillery. The Royalist forces made a tactical withdrawal from the battle field, having suffered less casualties than the numerically superior Parliamentary forces they were unable to gain any advantage. However, the King returned to Oxford with his army intact having achieved his goal of relieving Donnington Castle, which still remained in Royalist hands. In early November of 1644 the besieging force again withdrew when the King, with a now re-enforced army, marched to once again relieve Donnington and re-supply the garrison and also recover guns, baggage and wounded men left behind in the castle after the Second Battle of Newbury. After the King’s forces once again left Donnington the Parliamentarians returned to re-instate the siege, which they pursued without success.Even after the overwhelming defeat of the Royalist forces at the Battle of Naseby on 14th June 1645, which saw the destruction of the last Royalist army in the field and effectively ended any hope of relief, the garrison continued to hold out. It wasn’t until in April of 1646, and after an eighteen month siege, that Sir John Boys surrendered. Sir John continued to be an ardent Royalist and opponent of Cromwell and the Parliamentarians. In August 1648, during the Kent Rebellion, he made a fruitless attempt to raise the Siege of Deal Castle. At the same time a resolution put in the House of Commons to banish him as one of the seven Royalists who had been in arms against Parliament since 1st January 1648, was rejected. In 1659, he was a prisoner in Dover Castle for petitioning for a free Parliament, but was released on 23rd February 1660. Sir John later apparently received the office of Receiver of Customs at Dover from Charles II. 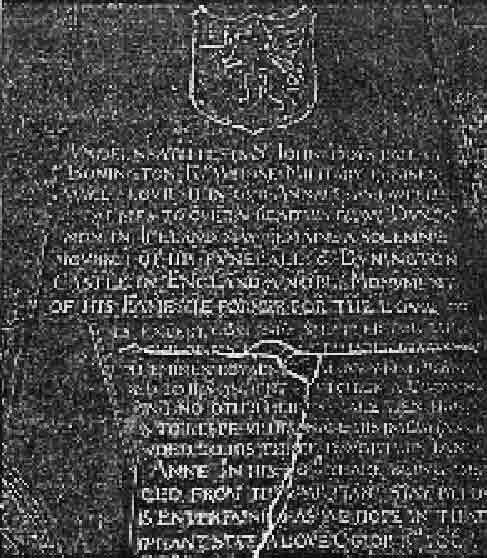 Sir John Boys died at his house at Bonnington on 8th October 1664 and was buried in the parish church of Goodnestone-next-Wingham. Sir John and his first wife, Lucy, had five daughters, but there were no children by his second marriage to Lady Elizabeth Finch, widow of Sir Nathaniel Finch, Sergeant-at-Law, and daughter of Sir John Fotherby of Barham. The Hammond family of St. Alban’s Court. Francis Hammond served in what were known as “The German Wars” or “The Thirty Years War”, the bloody religious conflict lasting from 1618 to 1648 which was fought initially in central Europe between the Catholic southern and Protestant northern states of the Holy Roman Empire but eventually encompassed most of the states of Europe and subsequently caused the deaths of millions of people and laid waste to entire regions. During his service, presumably on the Protestant side and possibly with the Dutch after they renewed hostilities with the Hapsburg Empire in 1619, Francis Hammond reputedly fought fourteen single-handed combats. 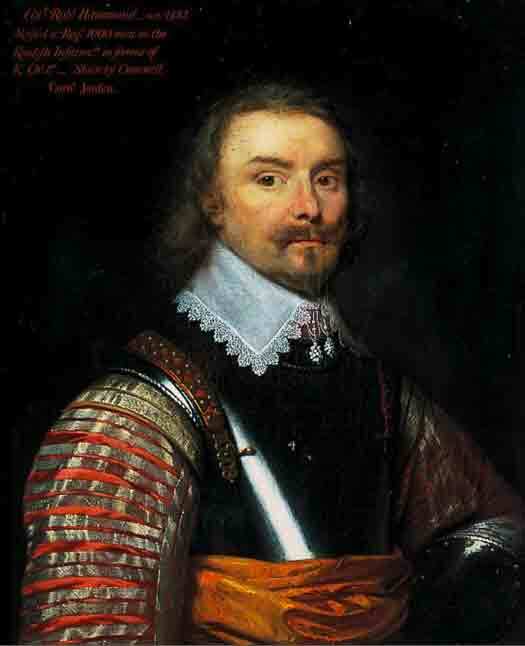 Francis fought for the King during the English Civil War and commanded a regiment under the command of the Earl of Northumberland in the Scottish Expedition of 1640 and later led a Forlorn Hope of some six hundred cavalry at the Battle of Edgehill in Warwickshire on Sunday, 23rd October, 1642. The Forlorn Hope were the first troops to attack an enemy position and subsequently had only a slight chance of surviving an action. Colonel Francis Hammond was obviously a man who enjoyed fighting. In the opposing Parliamentary forces at Edgehill was Edward Boys, the younger son of Sir Edwards Boys of Fredville whose land adjoined St. Alban’s Court in Nonington. 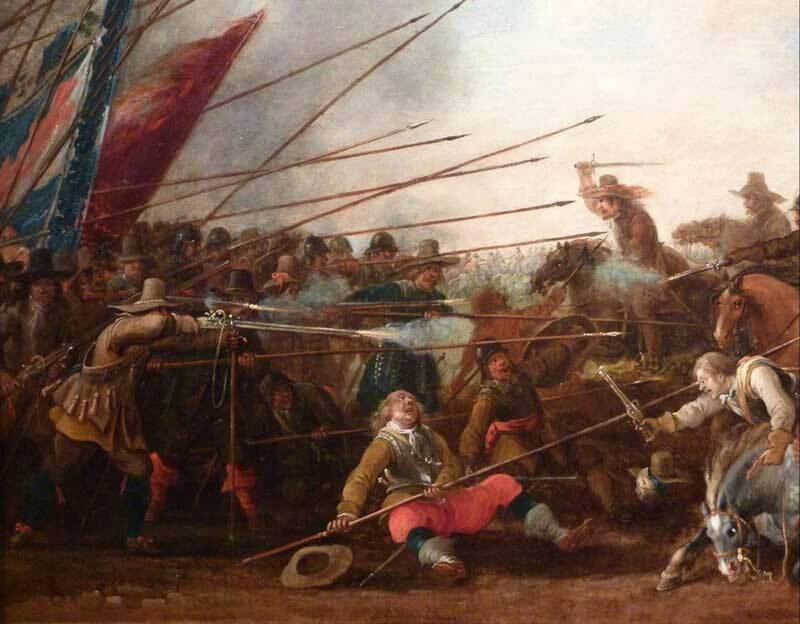 The young Edward Boys subsequently died of wounds received in the battle at Edgehill, whether or not he encountered Colonel Hammond during the battle is not known, but this emphasises how the English Civil War made enemies of close neighbours and even family members. No evidence has yet come to light of Robert Hammond, Francis’s younger brother, having served in The Thirty Years War. However, he did fight for the Royalist cause in the English Civil War. During May of 1648 the people of Kent petitioned Parliament and when their petition was rejected they rose up in revolt in support of the King. 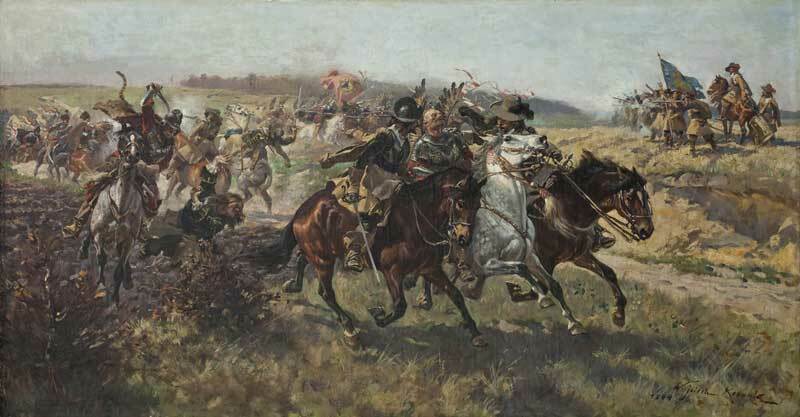 On 23rd May of 1648 Colonel Robert Hammond was commissioned to raise a body of foot soldiers and Colonel Hatton to raise a body of horse, and the following day the two colonels met on Barham Downs, Colonel Hammond with 300 well equipped and turned out foot soldiers and Colonel Hatton with 60 horse troopers. Initially the troops campaigned successfully in the East Kent area against the Parliaments supporters. 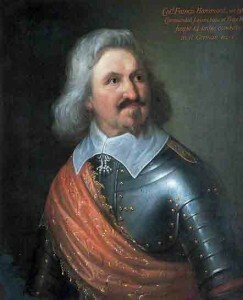 Colonel Hammond’s forces increased to around 1,000 men and he campaigned throughout Kent and beyond in the Royalist cause. He took part in the defence of Colchester which was besieged by Parliamentarian forces from July, 1648, until the defeat of Royalist forces at the Battle of Preston meant there was no hope of relief for the besieged garrison and they accordingly laid down their arms on the morning of 28th August, 1648. The terms of surrender were that “the Lords and Gentlemen (the officers) were all prisoners of mercy”, and the common soldiers were to be disarmed and given passes to allow them to return home after first swearing an oath not to take up arms against Parliament again. The town people paid £.14,000 in cash to protect the town from being pillaged by the victorious Parliamentarian forces. Robert broke any parole given to obtain his release as a “prisoner of mercy” when within a year or so he took up duties as the Royalist governor of the castle at Gowran in Co. Kilkenny in Ireland. Cromwell began a campaign against Royalist forces in Ireland in the autumn of 1649 and on 19th March, 1650, Gowran was surrounded by Cromwell’s forces. 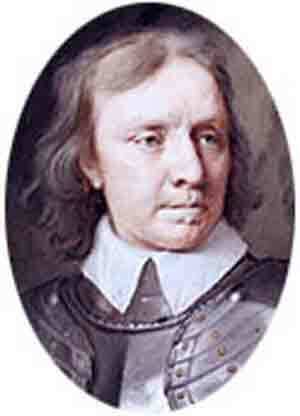 Colonel Hammond refused Cromwell’s generous terms of surrender which forced Cromwell to deploy his artillery. When the castle walls were breached on 21st March, 1650, Colonel Hammond asked for a treaty, which Cromwell refused to give but he did offer the defending soldiers quarter for their lives which they promptly accepted. The officers were subsequently handed over to the Parliamentary forces and Cromwell ordered the summary execution by firing squad of Colonel Hammond and all but one of the garrisons officers. A Roman Catholic priest who had been chaplain to the Roman Catholic members of the garrison was also captured and hanged. “I sent Colonel Hewson word that he should march up to me; and we, advancing likewise with our Party, met “him,” – near by Gowran; a populous Town, where the Enemy had a very strong Castle, under the Command of Colonel Hammond, a Kentishman, who was a principal actor in the Kentish Insurrection, and did manage the Lord Capel’s business at his Trial. I sent him a civil invitation to deliver up the Castle unto me; to which he returned a very resolute answer, and full of height. We planted our artillery; and before he had made a breach considerable, the Enemy beat a parley for a treaty; which I, having offered so fairly to him, refused; but sent him in positive conditions, That the soldiers should have their lives, and the Commission Officers to be disposed of as should be thought fit; which in the end was submitted to. The next day, the Colonel, the Major, and the rest of the Commission Officers were shot to death; all but one, who, being a very earnest instrument to have the Castle delivered, was pardoned. In the same Castle also we took a Popish Priest, who was Chaplain to the Catholics in this regiment; who was caused to be hanged. I trouble you with this the rather, because this regiment was the Lord of Ormond’s own regiment. In this Castle was good store of provisions for the Army”. Colonel Robert Hammond of St. Alban’s Court should not be confused with his name sake Colonel Robert Hammond (1621– 24 October 1654) who was best known for acting as Charles I gaoler at Carisbrook Castle from 13 November, 1647, to 29 November, 1648, for which service Parliament voted him a pension. He served an officer in Cromwell’s New Model Army during the early part of the Civil War and sat in the House of Commons in 1654. Many thanks for the information you’ve so kindly provided. I’ll remove the picture of ‘Ballyseanmore Castle’, and try and find the map you speak of. 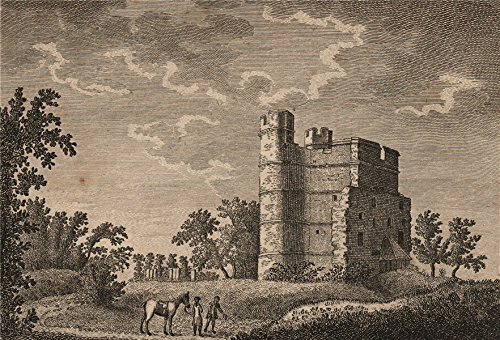 I enjoyed your reading the various articles as I wrote an article a few years back regarding Sir John Boys,the Royalist and his defence of Donnington Castle during the civil war. I thought the snippet below regarding a Parliamentary member may be of interest. Victor, many thanks for the comments and the snippet, which is a useful addition to the information I have regarding the Boys family of Fredville and their part in the English Civil War. I was unaware that one of Sir Edward’s sons had died of wounds received at the Battle of Kineton/Edge Hill on 23rd October, 1642. The fact he was a Parliamentarian appears to confirm him to be Edward Boys [Boise, Boyse], the younger brother of Major John Boys of Fredville. The Nonington parish register records the baptism on 14th December, 1606, of “Edward Boise”, the son of Sir Edward, junior, & his wife Elizabeth. He would therefore have been 37 when he died of wounds. I’ll have to try and find out more about him. Thanks again for the snippet. Clive, your website if most informative and exceedingly interesting. i have spent a lot of time browsing. Dene of School or Parish? I will come over next year hopefully to see Nonington for myself. If you find anything interesting, i would be most gratefull. A William Stupple was buried at Nonington 2nd June, 1557, presumably the same.You could try looking in Kingston parish records as it’s a large parish and Stupples appears to be a fairly common name in the area records. If I do find any more info. I’ll let you know.